WorldClassRoom FAQs - How do I view and respond to comments my instructor has made to my assignment? In this tutorial you will learn how to view and respond to comments that you have received from your instructor regarding an assignment submission. 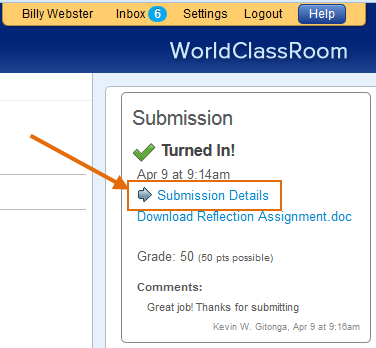 After an assignment is accessed, you have the option of seeing your submission details. Often instructors may give students feedback on an assignment with their grade or feedback to help them improve and resubmit. Click on the title of the assignment. In this tutorial we will use Assignment #1 as our example. 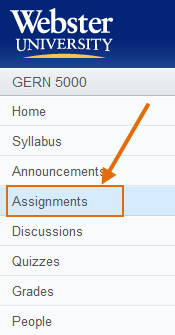 To the right of the assignment page you will see the Submission box. Click on the Submission Details link. 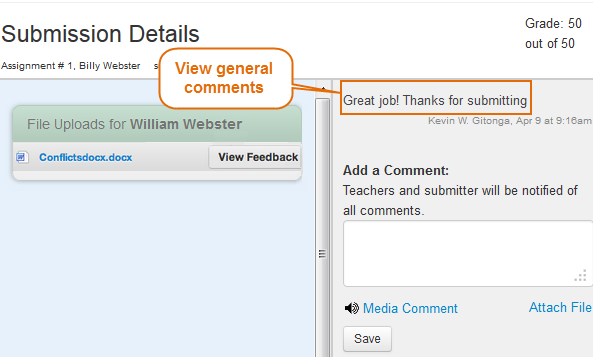 Comments from your instructor will be displayed in the comments pane on the right hand side of the page. If you wish to ask a question or respond to your instructor's comments, type your question or comment in the text box and click Save. Note: All correspondence between you and your instructor will appear in the comments pane above the Add a Comment label. Note: If your instructor has provided feedback in audio or video format you will see a thumbnail in the comments pane labeled "This is a media comment". Click on the thumbnail to hear or view the media comment. Additionally, your instructor may also provide feedback comments in your document. To view these feedback comments, click on the View Feedback button. 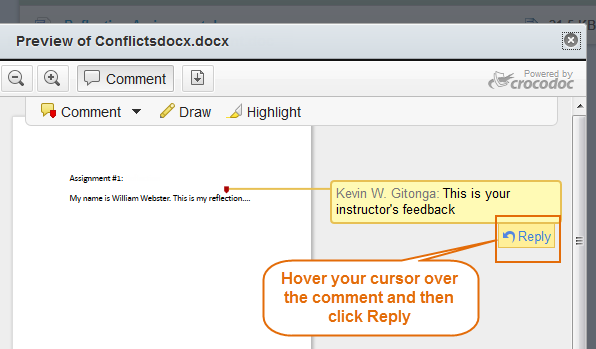 To respond to your instructor's feedback comments, hover your cursor over a comment and click Reply. Click outside of the comment to save your reply. How can I view comments from instructors on my assignments?